Ideas about the ‘production’ of welfare emerged in the UK from the work of the Personal Social Services Research Unit at Kent University (PSSRU) in the late 1970s and early 1980s (Davies and Knapp, 1988). Derived, at least in part, from equivalent developments in the USA, this approach sought to explain the relationship between the characteristics of welfare services, the needs of welfare recipients, the costs of welfare provision and the outcomes of welfare systems (pp. 2–3). 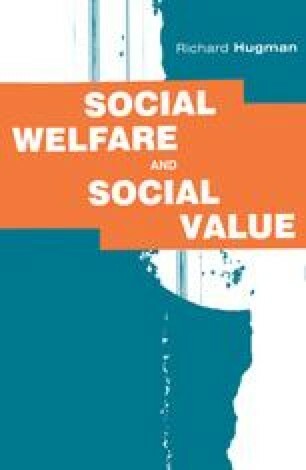 Beginning with the assumption that social resources for welfare are not limitless, this approach sought to understand whether the ways in which services are provided are the most efficient or effective that might be feasible. The primary object of this research was the sector of care for those older people who require welfare support, but the approach became applied also to mental health, to child care and to general hospital services (Knapp, 1988).